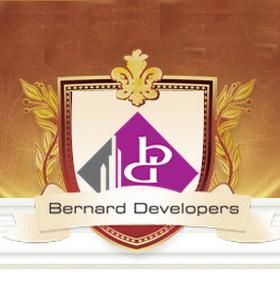 Bernard Developers Pvt Ltd, established in 2009 has become a name synonymous with quality and timely delivery. The group’s forte is their ability to put the client’s needs and demands at the helm of every project. The company has dedicated itself to the development of residential projects in Delhi and other areas of National Capital Region. Bernard Developers has an exceptional record for creating state-of-the-art infrastructure across India. The company is credited with the development of a residential project named Bernard Homes and Vatika in Noida. The highlights of this project are its plush interiors and state of the art design. Innovation and imaginative architecture that also accommodate practical living spaces are what define Bernard Developers. Bernard Developers has totally dedicated itself to the core values of honesty, integrity, quality and commitment to fulfilling the need of the clientele. The group has plans to expand its operations to make itself known on a global platform.